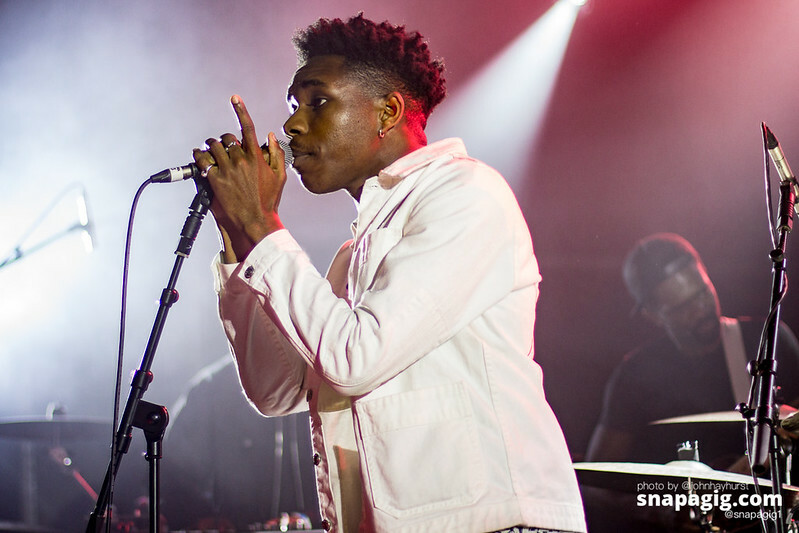 Opening act Tom Tripp, a name we will get use to seeing after two well-received EP have been making waves for him over the Internet via playlists and Spotify, his short yet upbeat set was well received by the growing crowd in the venue. 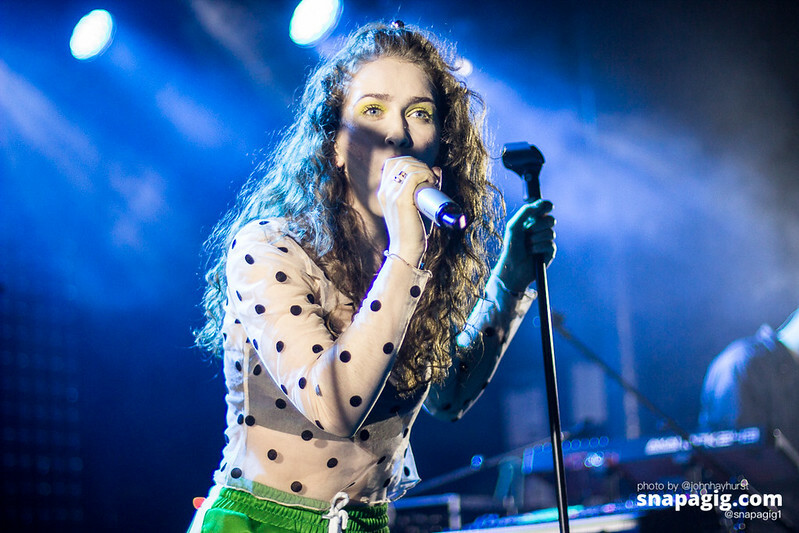 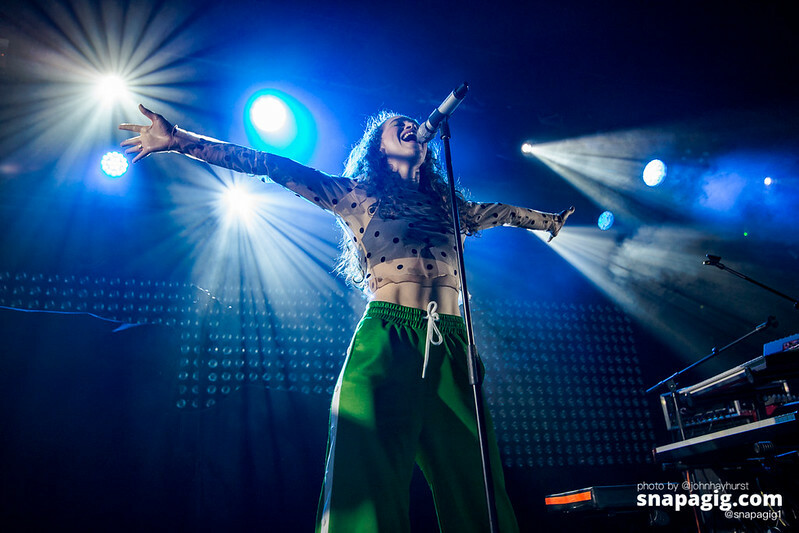 Second on the bill was Rae Morris a energetic and versatile singer that really got the crowd pumped up for the night ahead, Someone Out There Loves You and Atletico was two of the stand out tracks from Rae’s short yet pumped up set. 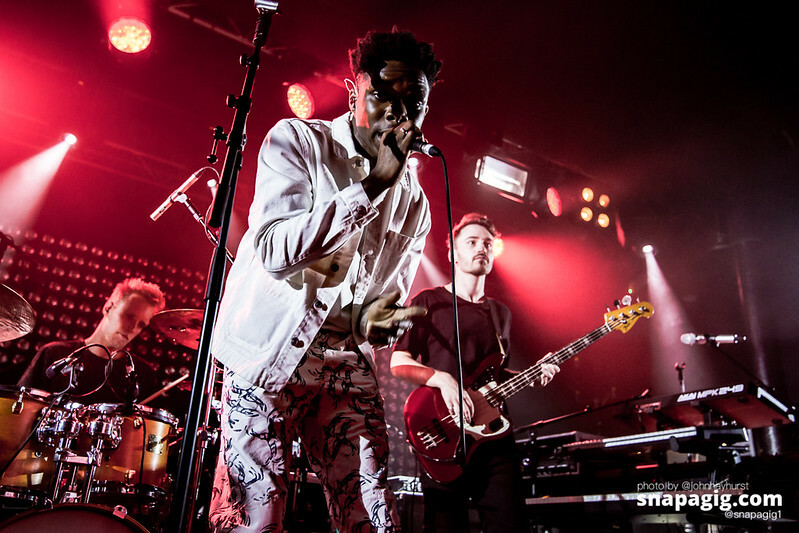 There was a slight delay in-between the second set and the main performance, as we stood there in anticipation there were a few false starts. 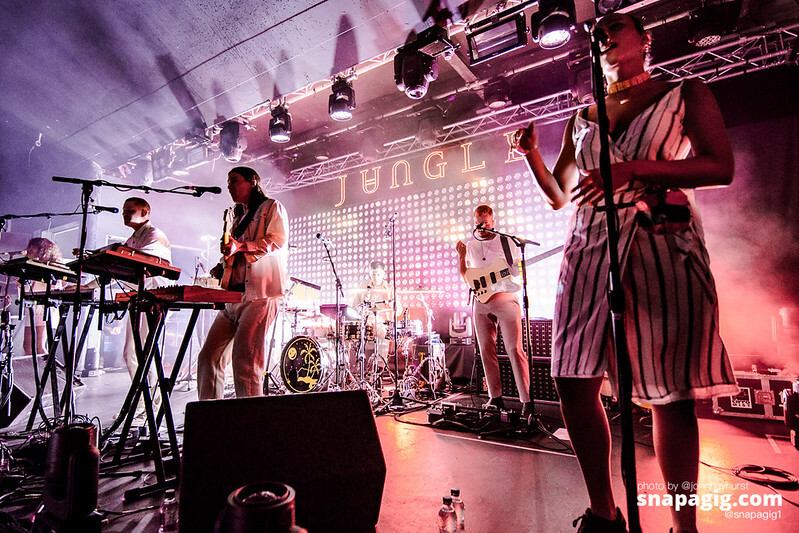 Jungle, the main band graced the stage dressed in all white and backed by an hypnotic lighting display, which it so happens was responsible for the delay to the stage. 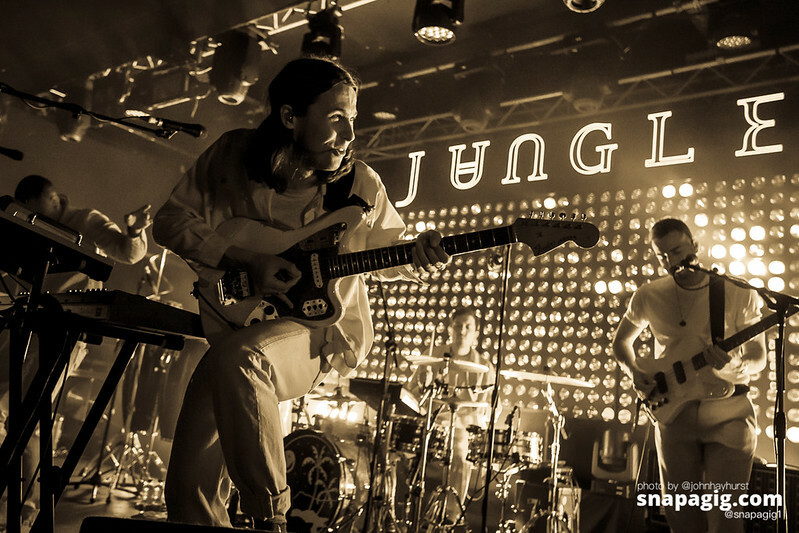 Jungle a duo hailing from West London really understand sonic architecture, the tracks from their well received debut albums, was almost always met with riotous applause as fans instantly recognisable songs, Platoon, Busy Earnin, The Heat and Julia that have a much richer kick to them live than through headphones. 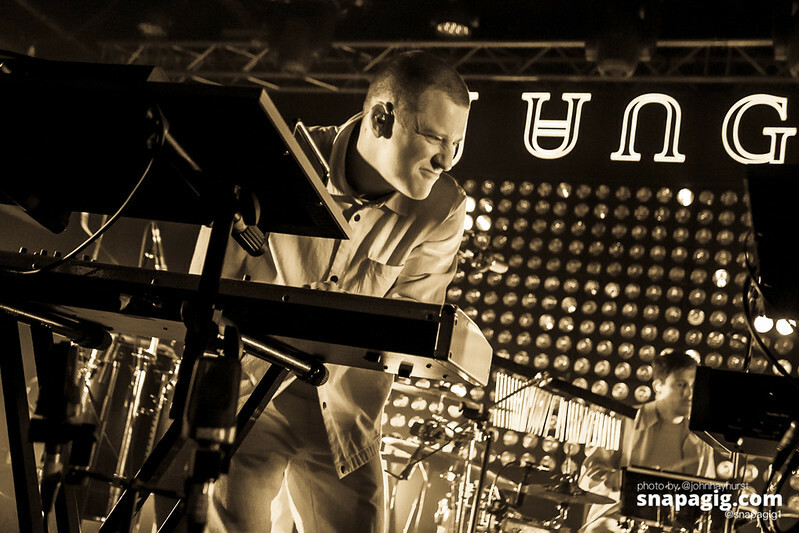 Backed by Percussions, Drums, Synths and two backing singers, we were treated to a delightful performance for the rest of the night. 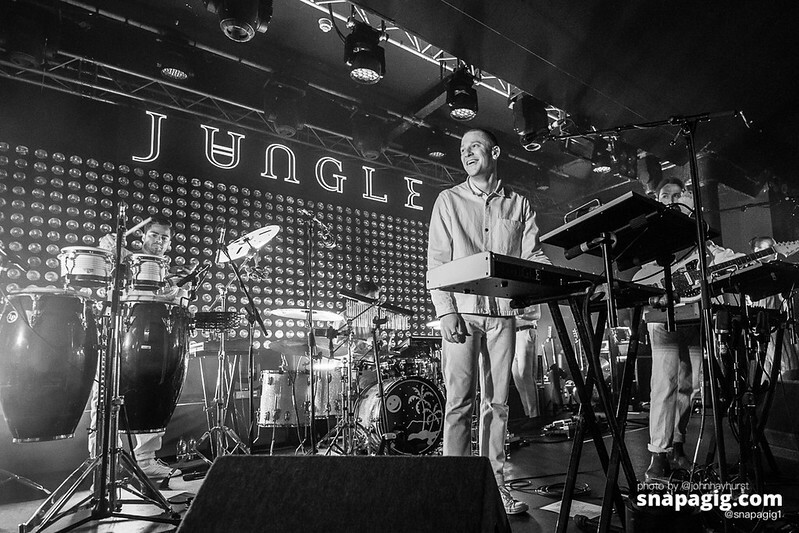 We were also treated to new music from their new album with tracks House In LA and Happy Man. 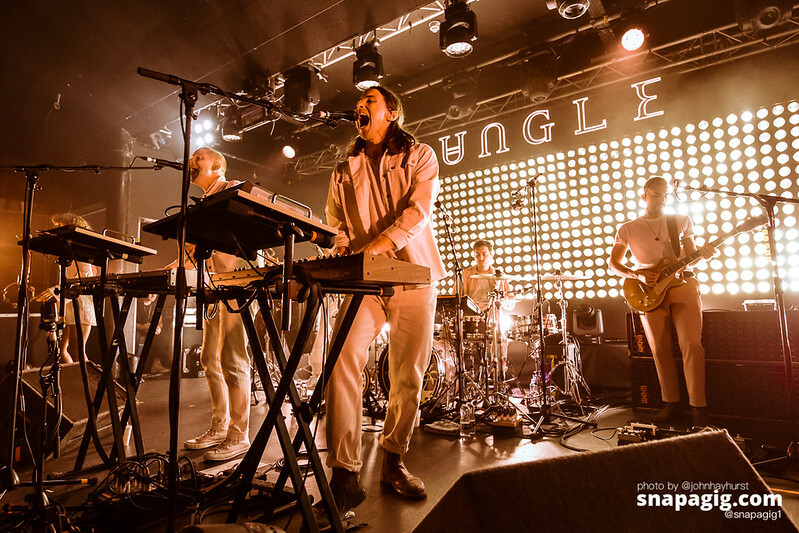 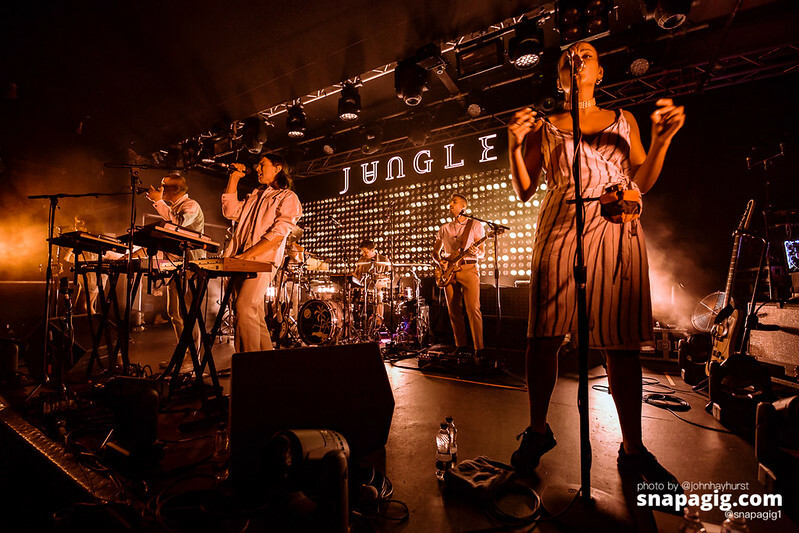 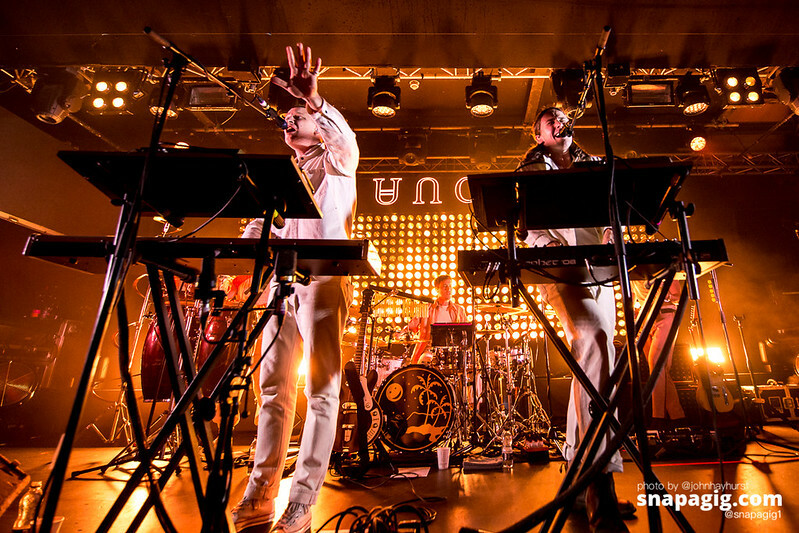 Sonically Jungle is a beautiful experience live, the eclectic nature of their music and musical patterns make for a unique adventure.